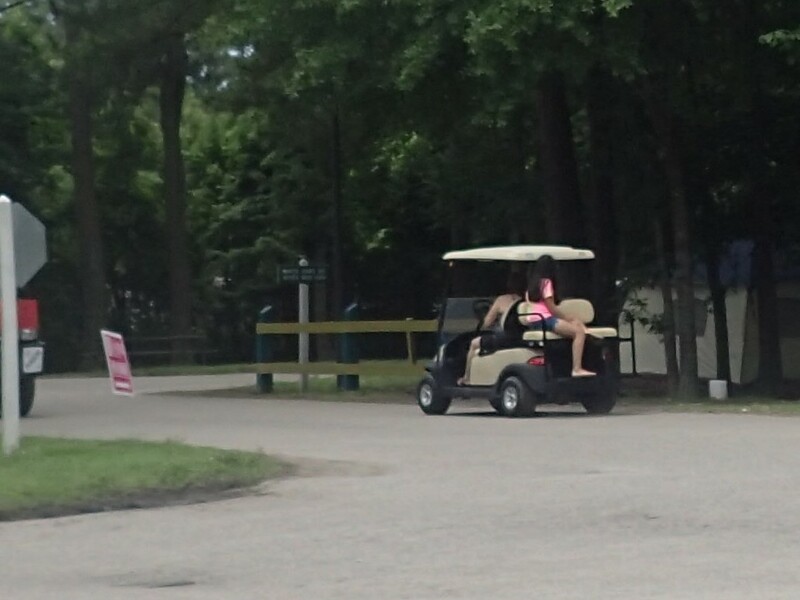 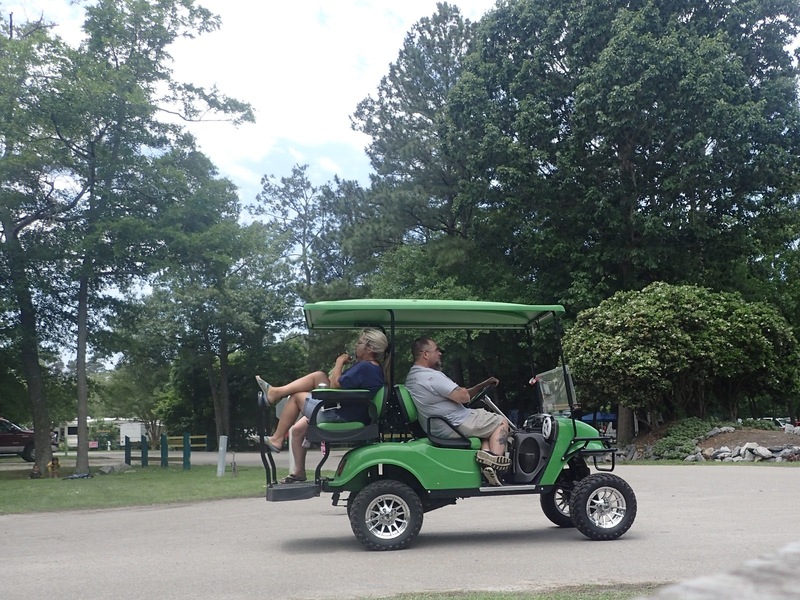 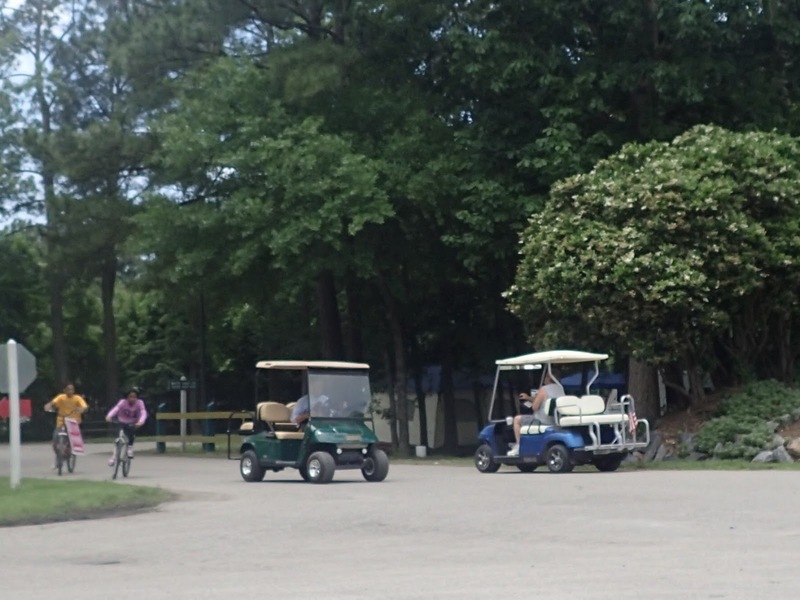 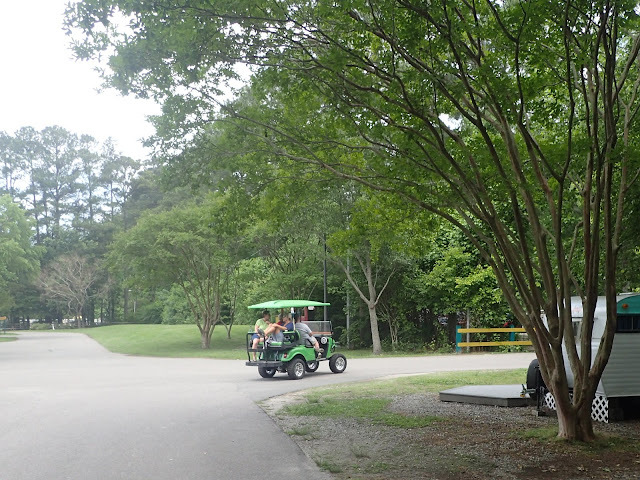 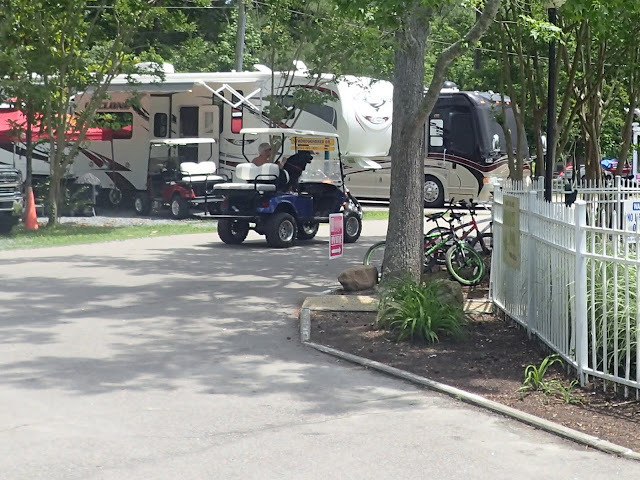 Here, at Chincoteague Island off the eastern shore of Virginia, it is golf carts. 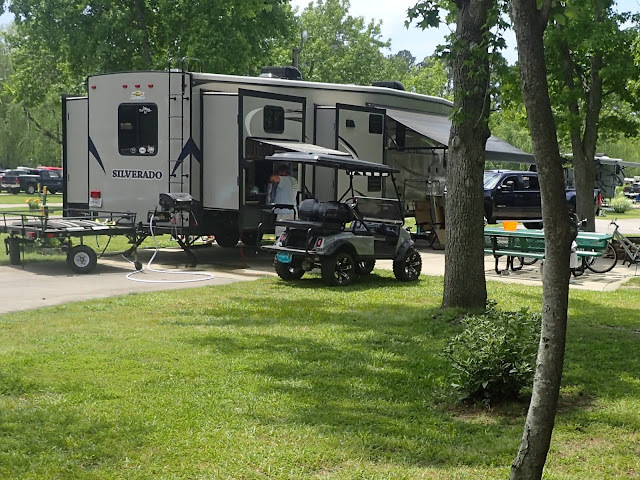 here is a small, very small sample of some seen over the Memorial weekend of 2017. 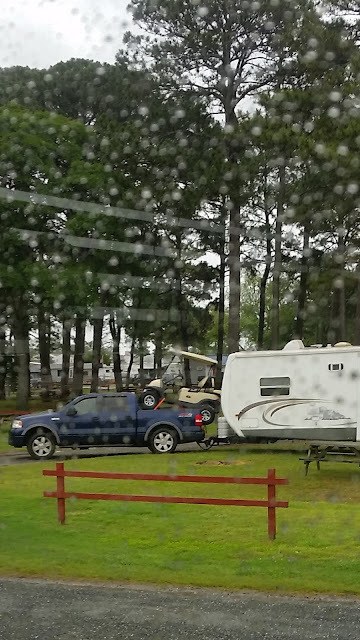 And how do they get them here? Not a great photo, but they drive 'em up on the back of their trucks.